Soundgarden frontman Chris Cornell has revealed the title of his forthcoming fourth solo album. 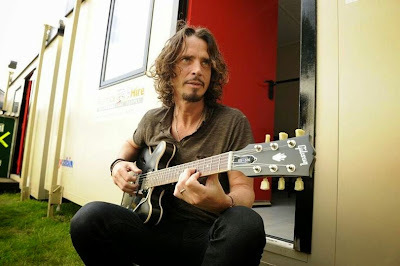 Cornell will release “Higher Truth” in September, ahead of newly-announced dates for a solo acoustic tour of New Zealand and Australia. The singer began recording the project in mid-January before heading to Australia with Soundgarden in February to perform as part of the Soundwave Festival series; he completed the record upon his return to Seattle in March. “Higher Truth” follows 1999’s “Euphoria Morning”, 2007’s “Carry On”, 2009’s “Scream” (2009) and the 2011 acoustic live album, “Songbook”, from his tour of the same name. Soundgarden will regroup to record and release a new album in 2016, according to guitarist Kim Thayil.